An interior/exterior adhesion primer that can be applied to all interior and exterior walls, ceilings, doors, trim, fascia, soffits, foundations, etc. Zinsser Bullseye 1-2-3 is an interior/exterior adhesion primer that can be applied to all interior and exterior walls, ceilings, doors, trim, fascia, soffits, foundations, railings and other paintable surfaces. Zinsser Bullseye 1-2-3 is a water based all purpose primer used as a stain block paint on walls for prevention of water stains, graffiti and grease spots, to name a few. Bullseye 1-2-3 Mould and Mildew Paint offers excellent stain blocking qualities and high quality adhesion without the need for sanding. BULLS-EYE 1-2-3 bonds to wood, plaster, concrete, gloss enamels, hardboard, glass and tile. It also provides a rust inhibitive coating on iron railings, steel frames, piping, etc. Formulated to resist the growth of mould and mildew on damp, humid environments such as bathrooms and kitchens. Zinsser Bullseye 1-2-3 Mould and Mildew Paint stops the growth of mould and mildew making it ideal in kitchens, bathrooms and basements. Particularly, Bullseye 1-2-3 Mould and Mildew Paint should be used in areas of high humidity where stains and odours are regular occurrences. Mould and mildew commonly builds up in basements and bathrooms, on walls, where moisture and humidity is present in the air and Bullseye Stain Block Paint works to cover up and prevent this happening again in the future. Zinsser Bullseye 1-2-3 can be applied using brush, roller or airless spray and is available in 1 litre or 5 litre tubs. Bullseye has a coverage rate of 350-450 ft2 per gallon (0.95litres) and can be recoated after just 1 hour, giving it exceptional fast drying qualities. After use, Zinsser Bullseye 1-2-3 Mould and Mildew Stain Block Paint should be cleaned up with soapy water to provide you with a pleasing finish. 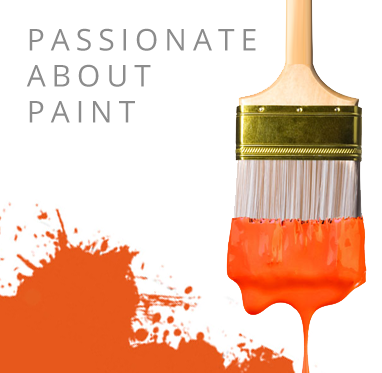 Zinsser Bullseye 1-2-3 Paint can be applied to all interior and exterior walls, ceilings, doors, trim, fascia, soffits, foundations, railings and other paintable surfaces. Bullseye 1-2-3 Mould and Mildew Paint from Zinsser is ideal for use internally and externally predominantly in areas exposed to high humidity in order to protect against mould and mildew, which can lead to unhealthy bacteria and infections. Zinsser Bullseye 1-2-3 should be used in areas of high humidity. Re-coatable after just 1 hour. Bollom Brosteel Ultra 60 intumescent paint fire proof paint for steelwork. Provides up to 60 minutes resistance.